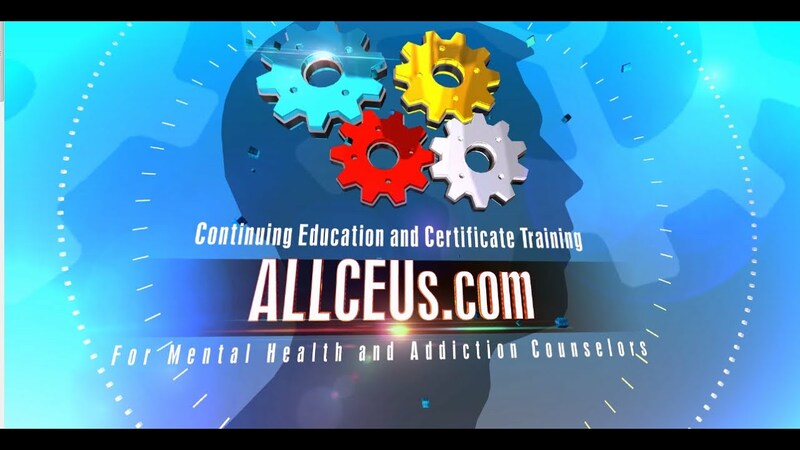 AllCEUs provides counseling education and CEs for LPCs, LMHCs, LMFTs and LCSWs as well as addiction counselor precertification training and continuing education. Patreon: https://www.patreon.com/CounselorToolbox Help us keep the videos free for everyone to learn by becoming a patron. AllCEUs is also approved as an education provider for NAADAC, the States of Florida and Texas Boards of Social Work and Mental Health/Professional Counseling, the California Consortium for Addiction Professionals and Professions. Our courses are accepted in most states through those approvals. Career Exploration and Vocational Goal Setting for Persons in Recovery by creativecommons (CC) is licensed under a Creative Commons Attribution-Share Alike 4.0 License.